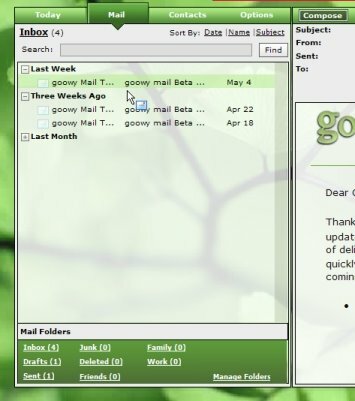 Well I use Goowy for couple a month and it’s like a replacement for my window at home. I keep all my necessary information’s online at Goowy and when I need them I can access to them from anywhere at any time and it’s one of greatest thing I like with Goowy. I past couple a week’s they added few additional stuff which make work with Goowy much better and interesting. I still do not know how much it’s reliable and safe to keep my private files in there but I hope that in near future they will add bigger protection than it is today. After all I am really satisfied with service they offer and I keep using it.